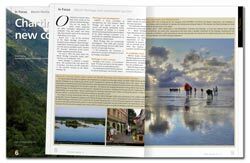 A wide range of World Heritage publications, from periodicals to brochures and information kits , books, manuals, reports, and a map of World Heritage sites are available in a variety of languages for adults and young people. 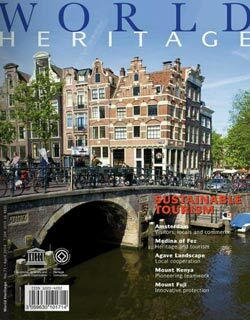 Featuring in-depth articles on cultural and natural World Heritage sites. Published every three months in English, French and Spanish. Launched in 2002 in an effort to publish a series on various World Heritage subjects. The 2013-2014 Map is now available. This large format full-colour map features World Heritage sites and brief explanations of the World Heritage Convention and the World Heritage conservation programmes. It is available in English, French and Spanish, as well as superb photos of World Heritage sites with explanatory captions. The dimensions of the map are 78 cm by 50 cm (31 in. by 20 in.). Available in English and French from n°1 to 51.